Ocean Terrace Condominiums | Lincoln City, OR Vacation Rentals on the Beach. Nothing like it here! "Sea Dreamer" is a very popular unit. Perhaps it's the 'library' ceiling or the built in cabinetry, mirrored wall or....well, you decide. "Sea Dreamer" is an adult only unit, and is sure to be one of your favorites. Aptly named, "Sea Dreamer", this Adults Only unit is truly 'One Of A Kind'! Rates range year round from $80.00 to $160.00 for one or two adults based on weekday/weekend, seasonally adjusted. We do not rent to minors (under 21). This is a smoke free establishment. Holiday Rates will apply for certain dates ranges such as Thanksgiving, Christmas, New Years, other Holidays and Special Events. 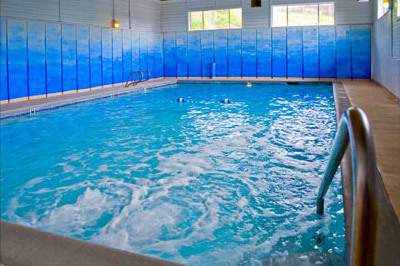 Access to our swimming pool is through the recreation room which is open. Our large pool has broad steps into the shallow end and you'll really enjoy the 87-degree temperature of the water.